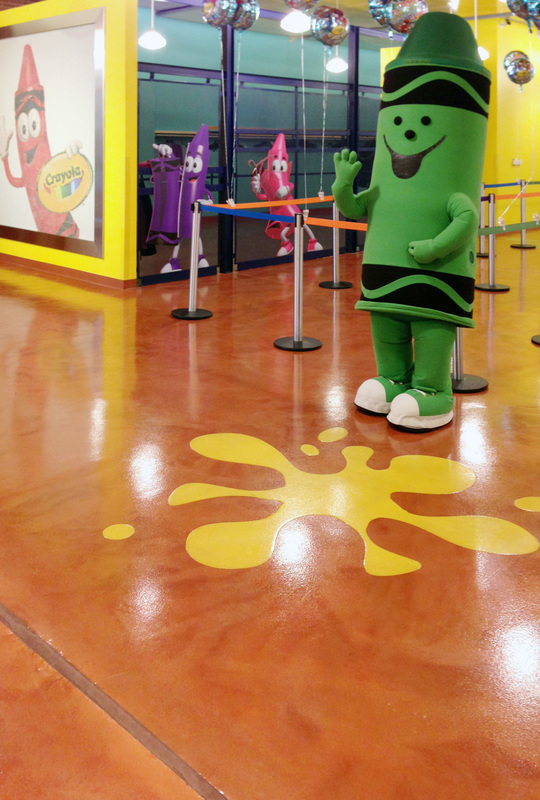 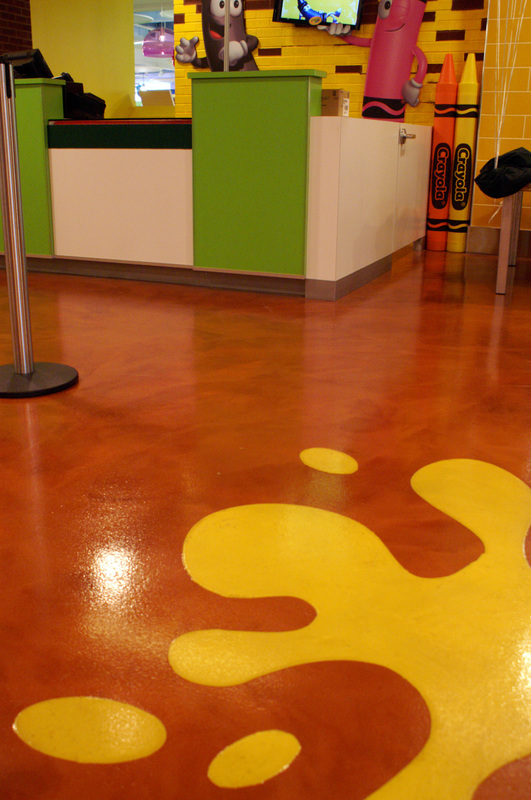 When a popular arts manufacturer was updating their customer visitor's center, they were looking for a unique and distinctive floor for their lobby. 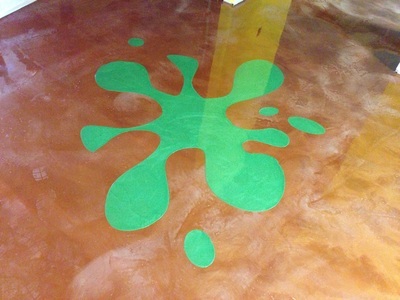 The Key Luster Metallic provided the perfect backdrop for the company to highlight their artistic flare. 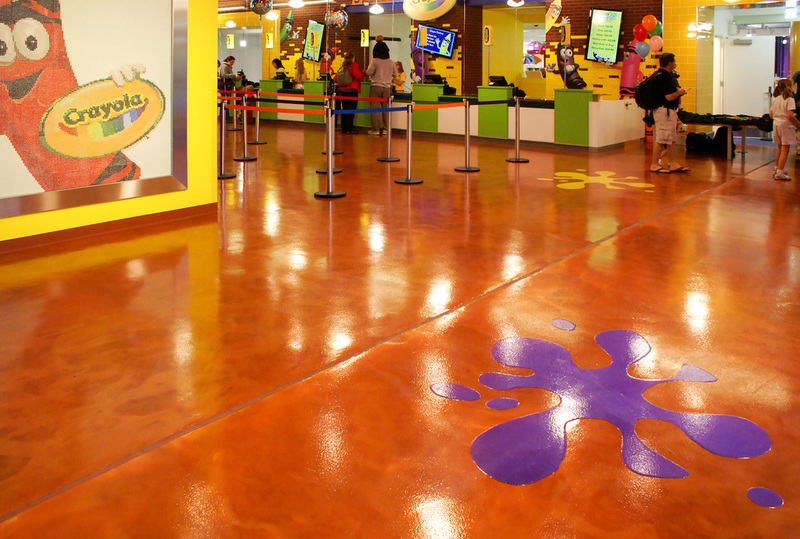 This 4,780 sq. 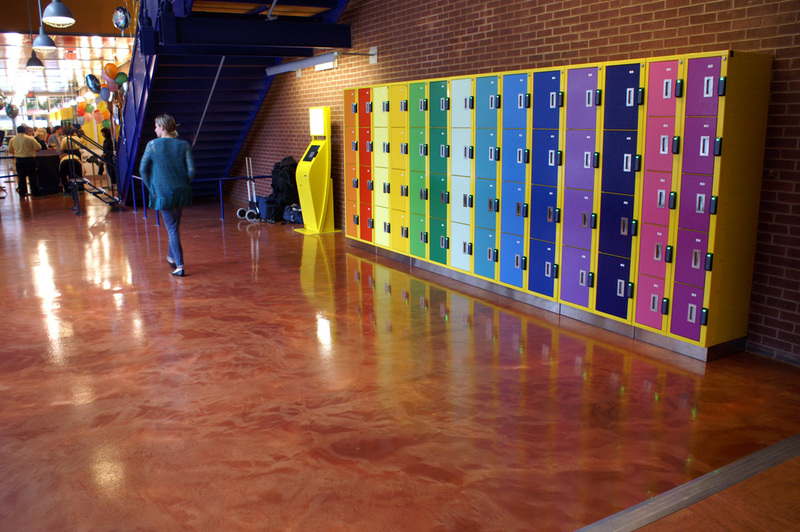 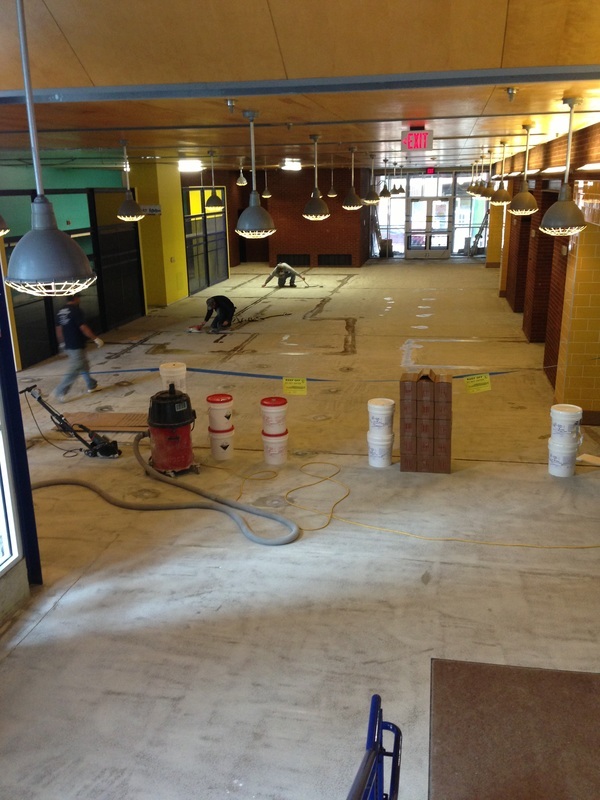 ft. project involved installation over an existing resinous flooring system. 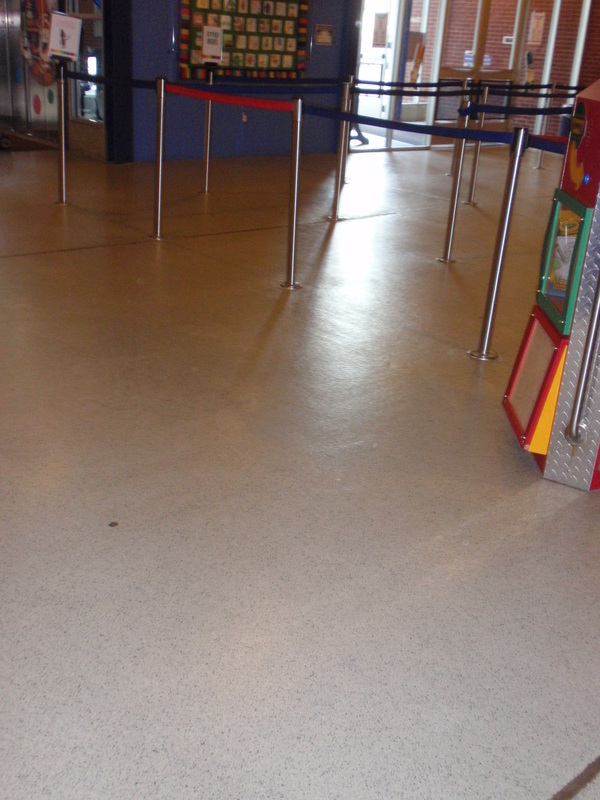 The relocation of walls and other protrusions resulted in extensive repair to the floor. Following the repair, a white primer was installed and then two coats of the unique metallic base were troweled and backrolled into place. 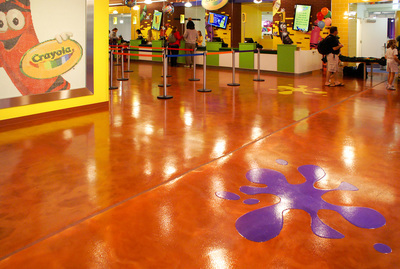 To achieve the designers colorful "splats," the Key Luster Metallic pigments were added to Key's #470 Polyaspartic and quickly applied within stencils. 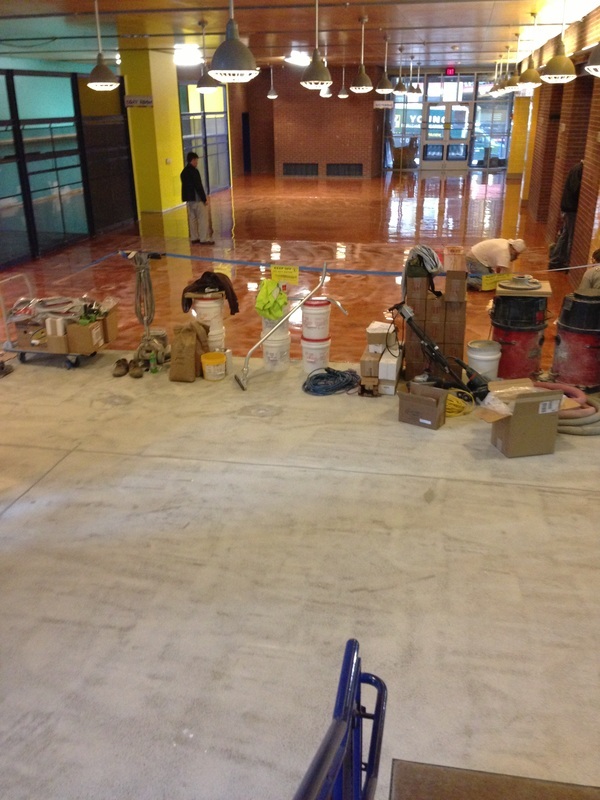 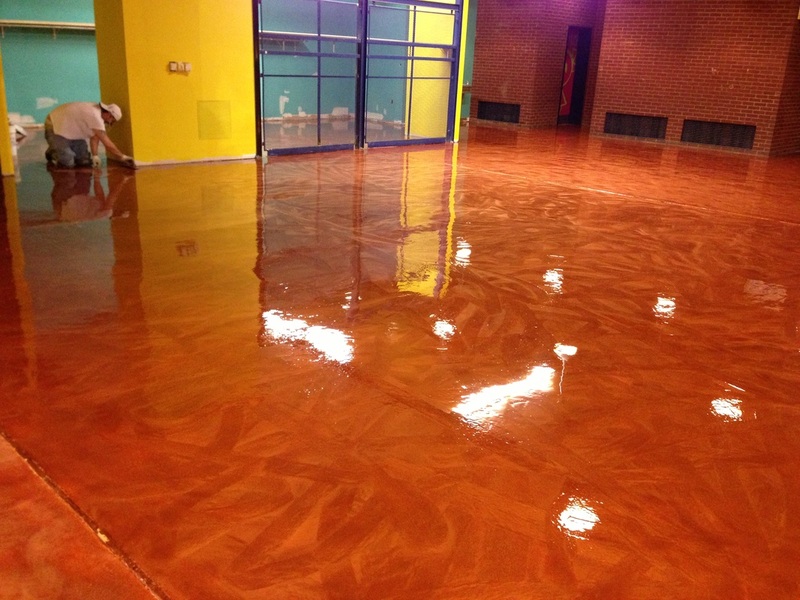 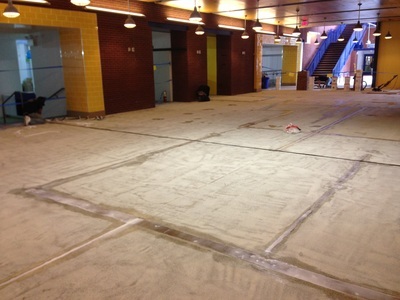 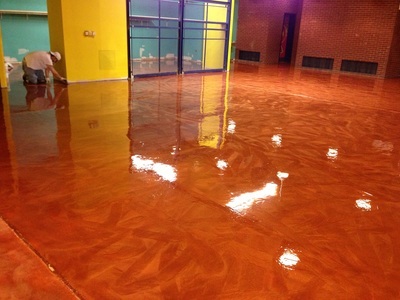 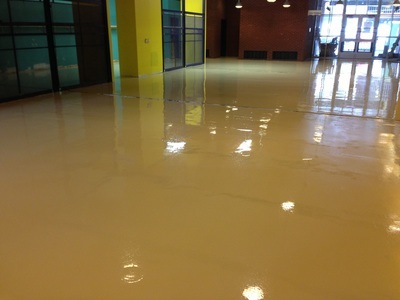 The entire floor was then topcoated with the #470 Polyaspartic with a non-skid additive to aid in slip resistance. CTS worked alongside the installer during all phases of the project including proposal, submittals, and construction.